Diddley bos are the precursor to the slide guitar and arguably the first blues instrument. We had intended to make these instruments only during Blues summer camp session but the kids loved them so much we made them every week! 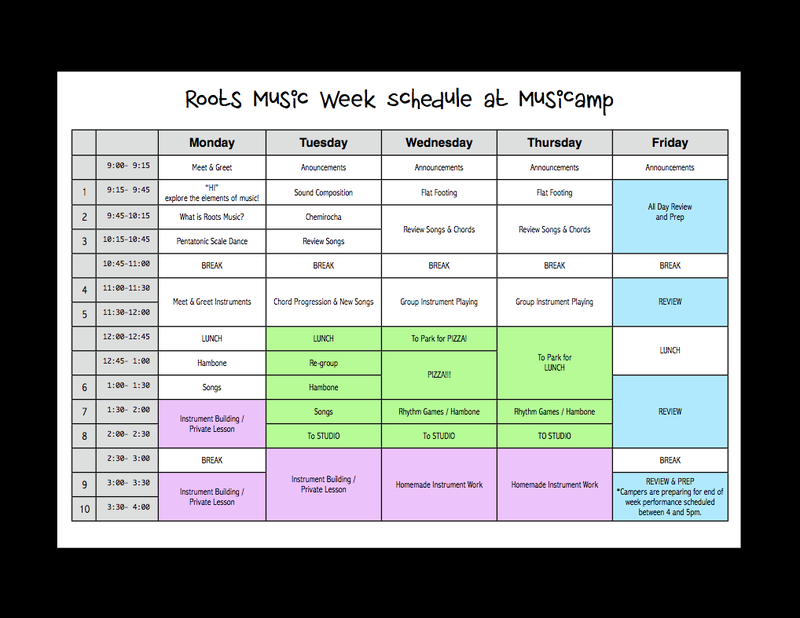 Not only that, we incorporated them into the music making of each week – quite a satisfying experience! Click the picture below to view larger gallery of pics and video. Anna Melnikoff is a gifted teacher and perpetually grateful student of traditional Mande music from West Africa who has been performing and teaching in the GTA for 15 years. 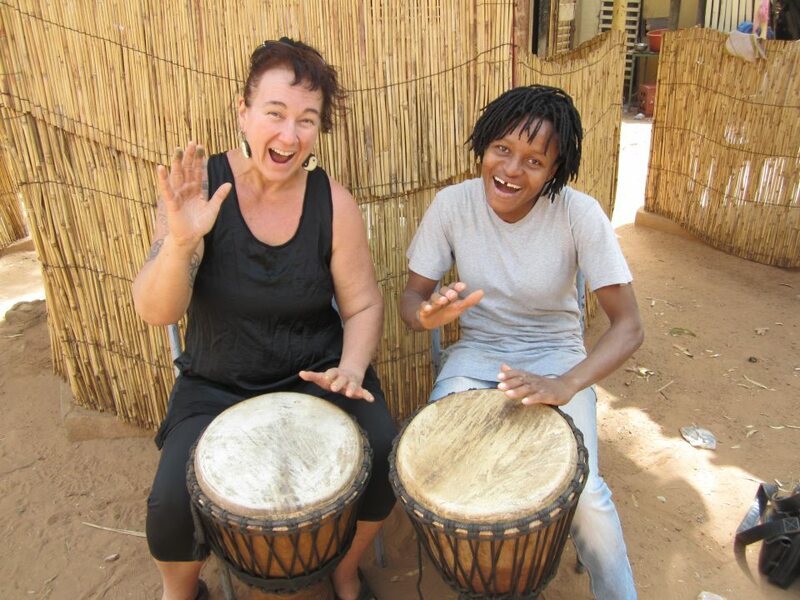 She has studied with many master drummers and visits West Africa as often as possible. Currently she teaches djembe at York University, and is also the founder of an all-female performing ensemble, Moussoufolila. She is also a certified teacher of transformational healing and meditation with the Training in Power Academy. Surprisingly, I got the pics of the DIDDLEY BOs up earlier than I thought. Enjoy! 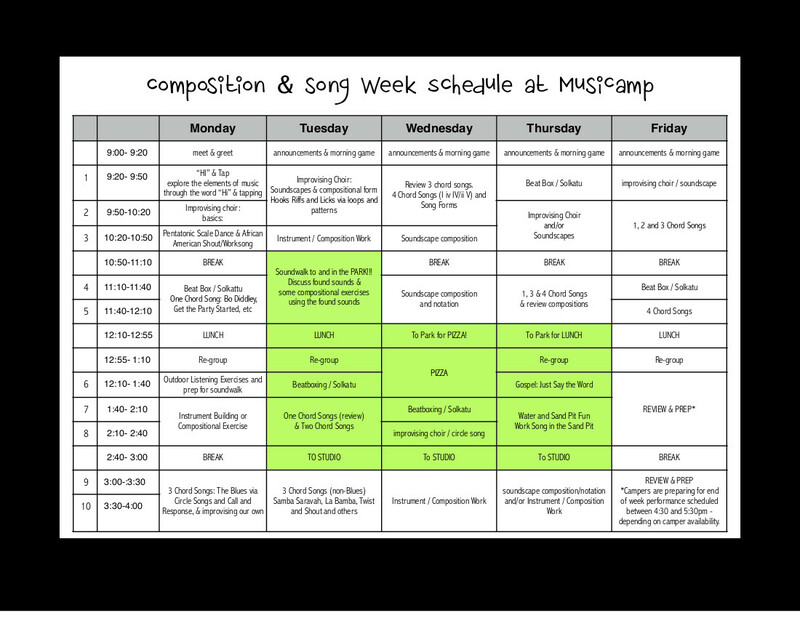 By the way, exploring the acoustic properties of these instruments, we played with different resonators (a bottle for the instructor versus different size tins for campers), using a wooden block as a bridge or not, as well as the placement of the resonator. 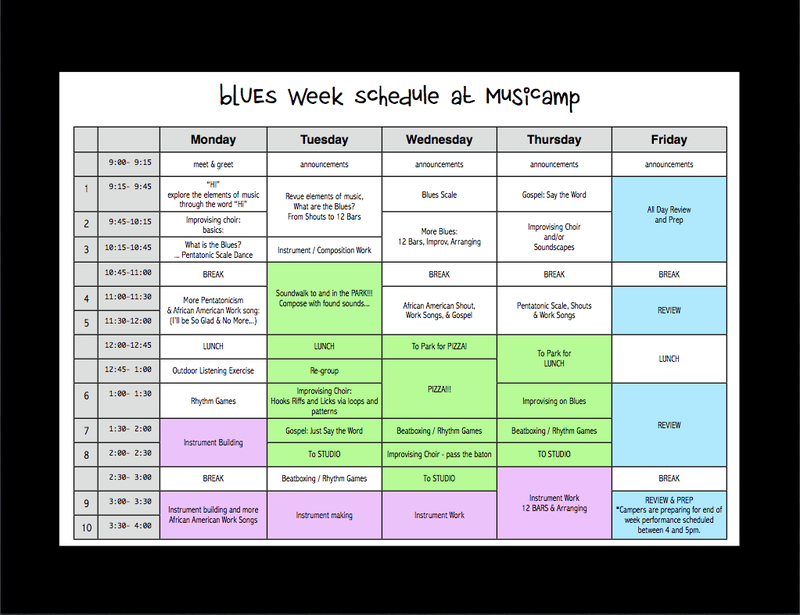 As you can see, campers were spectacularly creative in how they painted their diddley bos as well! 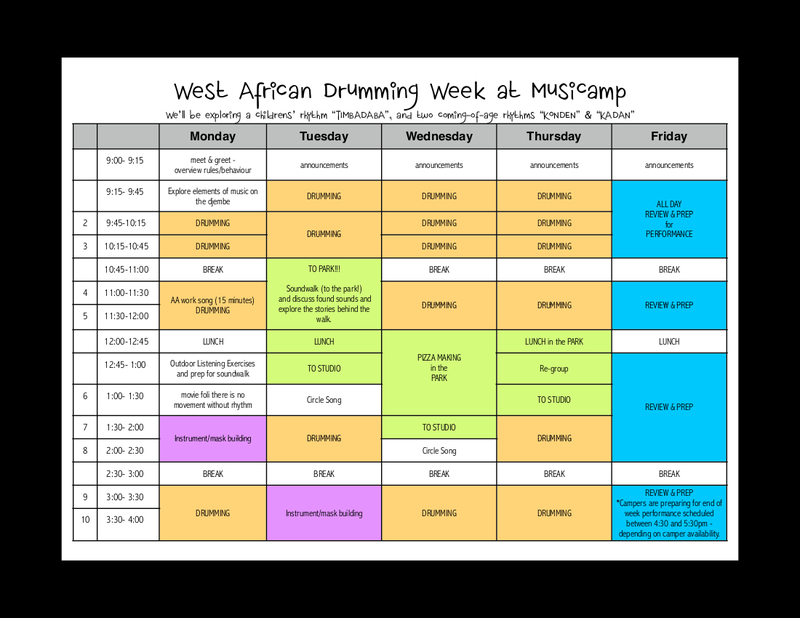 Additional WEST AFRICAN DRUMMING WEEK!  We have added an additional West African Drumming Week for Aug 12-16, 9 am – 4 pm with extended care available for your music-loving, creative 8-12 year olds. The video below (click the picture) demonstrates a MusiCamp homemade diddley bo, which is the precursor to the slide guitar and arguably the first blues instrument. 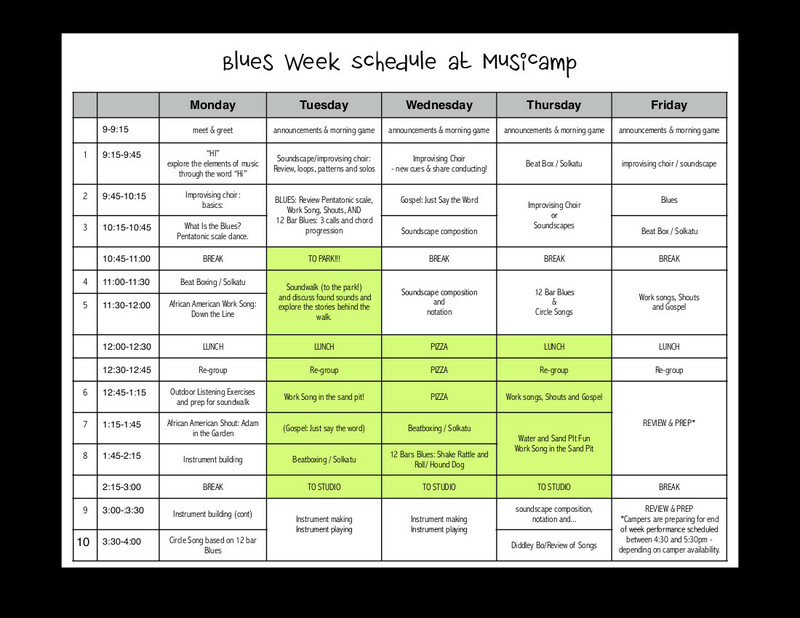 In a few days (or maybe a few weeks ; ) ), I’ll post the whole lot of diddley bos campers made at MusiCamp in its inaugural Blues Week!